Ajmir Spark in Beleghata, Hooghly by Ajmir Tower Pvt. Ltd.
By Ajmir Tower Pvt. Ltd.
901.00 sqft. - 914.00 sqft. Ajmir Spark is a premium housing project at Beleghata in Hooghly. The project is ready-to-move and the residents can enjoy several amenities including as . Social infrastructure like banks, schools and parks surround the area. It is also very well-connected to various parts of the city by public transport network. Beliaghata, also known as Beleghata, is one of the most prominent localities situated in the city of joy, Kolkata. This location enjoys excellent connectivity through a strong network of roads including Beliaghata Main Road that links this area effectively to other parts of the city. Through Beliaghata goes a Canal; at the side of which the Canal Side Road helps vehicles to move in and around the densely populated area. Few AC buses ply on the Beliaghata Main Road that links Eastern Metropolitan Bypass to Central Kolkata, providing the locality with greater avenues for connectivity. The Eastern Metropolitan Bypass or the E.M. Bypass is a 21 km long stretch of the road that connects Bidhannagar in the north to the southern parts of Kolkata. Hailed as the economic lifeline of the city, this locality near E.M. Bypass is witnessing the developments of many residential and commercial hubs. Owing to this the local transport has also become frequent and more efficient. One can find many shuttle buses and taxis near this area that makes it easier for the daily commuters to travel. The Sealdah railway station is a very short drive from this place. The Subhas Chandra Bose International Airport is also located in the vicinity. Premium hospitality units like ITC Sonar Bangla and Hyatt are situated here providing the area a very posh feel. The very vibrant Park Street is located nearby that provides the residents of this area with a multitude of entertainment options. Subhas Sarovar is a famous tourist attraction of Kolkata present in Beliaghata. Many super specialty hospitals and reputed international schools are present in this area making life easier for the inhabitants of Beliaghata. Ajmir Tower Pvt. Ltd. got established in the year 2010 and has become one of the well renowned names in the Real Estate Industry of Kolkata. With the mission to provide the ultimate comfort to the residents, they have integrated their resources to add each and every specification provided by their clients. They are working with high sincerity and sharp managerial skills. All their apartments are facilitated by a plethora of amenities that aim at providing a unique living experience to all their clients. By using the best quality construction materials, they have included all the major specifications of a modernized residence. Ajmir Tower Pvt. Ltd. is actively engaged in building affordable residential flats all over the city and has created a niche for itself in the realty domain of Kolkata. 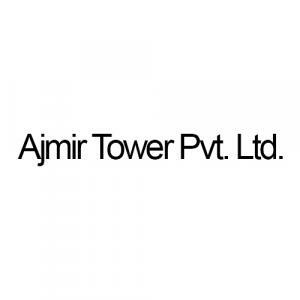 More Projects by Ajmir Tower Pvt. Ltd.